“There are problems and advantages of tourism in Delhi. On the one hand, Delhi has a rich history, monuments, museums and interesting sites. On the other hand, peak season for tourism is winter, when tourists avoid the city because of air pollution,” said an official source. The Delhi government is looking to re-brand the city for tourists in a bid to double its revenue through tourism, with an emphasis on creating specialised itineraries and regular cultural events cantered around the history of the capital. Officials said that at present, the average time spent in Delhi by foreign tourists is around 1.8 days and the aim is to increase this to 3.6 days. Delhi’s economy is primarily driven by services, among which tourism is key. The capital also has the largest and busiest international airport, handling 58 million passengers in 2016-17, as per the World Travel and Tourism Council (WTTC). Research by the WTTC also found that the city generated Rs 320 crore in tourism in 2016, but only a third from foreign tourists, with American tourists accounting for 11% of total foreign visits. 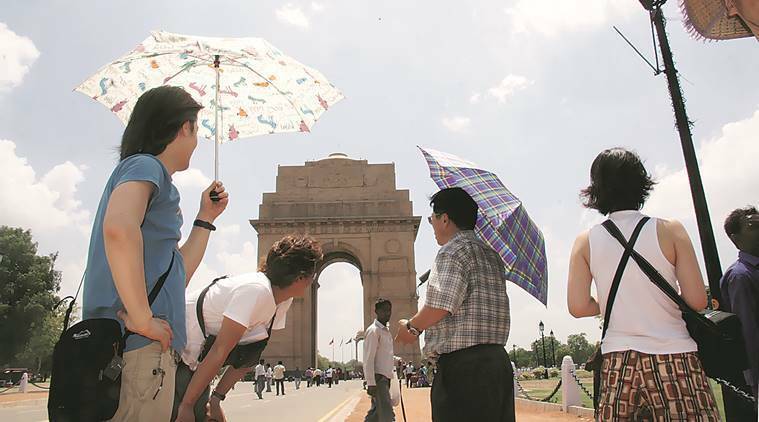 Problems in attracting foreign tourists, pointed out officials, ranged from increased concerns about air pollution to safety of travellers, particularly women, in the capital. “There are problems and advantages of tourism in Delhi. On the one hand, Delhi has a rich history, monuments, museums and interesting sites. On the other hand, peak season for tourism is winter, when tourists avoid the city because of air pollution,” said an official source. The strategy, officials explained, will see the government create specialised itineraries, which in turn will be disseminated for prospective tourists. “Right now, people come to Delhi and make their way elsewhere. But the idea is that they should know, for instance, that Friday is a good day to be in the city as there are cultural events that take place at monuments,” said an official. The Delhi Arts, Culture and Language departments will create these itineraries, said officials. In the past months, officials added, the Tourism department’s social media has been strengthened as a part of the strategy. Apart from this, the government is also looking to focus on domestic tourists and local residents to experience the capital differently. During the season, officials said, the government would host events ranging from concerts at monuments to food festivals.